The countdown is on to one of the most glamorous events of the year – the Rose Ball at the Rose of Tralee Festival! The Rose of Tralee International Festival 2018 is about to start and we are very proud to be a key supplier. You’ll find our event hire equipment at the Rose Ball on Friday 17th August. We are also involved in setting up the Dome for the live RTÉ shows on Monday and Tuesday 20-21st of August. National Event Hire is providing tables, chairs, crockery, cutlery, glassware, centrepieces and items of kitchen equipment for the festival. It’s always a fantastic week and one we look forward to every year because the atmosphere is amazing! The Rose of Tralee International Festival is an international competition, celebrated among Irish communities all over the world. The festival takes its inspiration from a 19th Century ballad about Mary, who because of her beauty was called ‘The Rose of Tralee’. The words of the song are credited to C. Mordaunt Spencer and the music to Charles William Glover, however there is another theory. Another story claims that the song was written by William Pembroke Mulchinock, a wealthy Protestant, out of love for Mary O’Connor, a poor Catholic maid. Firstly, the annual Rose Ball is the opening event of a week of celebrations in Tralee. It will take place on Friday 17th of August and will see ‘The Dome’, home of the international festival, transformed. This year’s Rose Ball will have approximately 1400 guests joining the Roses, Escorts and other distinguished guests for a gourmet 5-course meal from Brook Food Services. In contrast, Oktoberfest takes place on Saturday and this event will be bringing the best of German traditions and culture to Tralee. Next, it’s the catwalk. Sunday sees Munster’s biggest fashion event, The Rose of Tralee Fashion Show, taking place in the Festival Dome from 7.30pm. Finally, the live RTÉ TV shows take place on Monday and Tuesday, presented by Daithí O’Shea. National Event Hire will supply over 3000 banqueting chairs for the live shows. The 59th Rose of Tralee will be selected on Tuesday night. Then, we pack it all away until next year! 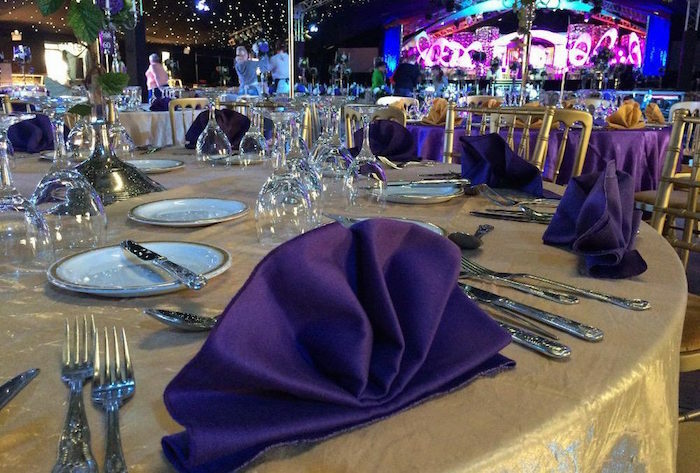 With over 25 years of experience, National Event Hire can supply all your event needs. We have a huge range of products for rent – chairs, tables, crockery, cutlery, catering equipment, even the kitchen sink!